I booked a spring turkey hunt with Split Brow Outfitters as I’ve always wanted to hunt Missouri’s growing population of eastern birds. When I arrived, I was greeted by Jim Bzoskie who showed me my lodge, the land and explained a bit about themselves. I was very pleased with the privacy and set up of the lodge, the layout of the land and was anxiously looking forward to the hunt itself. I was able to roost 3 mature gobblers on the first night and had high hopes for the following morning. Once daylight hit the horizon, I was already sitting in a comfy blind that Split Brow Outfitters have provided for me. A few soft yelps was all it took to get all 3 gobblers into a gobbling frenzy that broke up the woods morning silence. Next thing I knew, all 3 were on the ground in full strut marching their way towards my decoy. I let them get within 25 yards of my blind before easing my sights on the dominant gobblers neck and sending a load of magnum #6th to lay him to rest. ” one down, one to go” I told myself as I began making a plan for the next days hunt. I couldn’t get up fast enough the next morning to hit the woods. The amount of birds I saw that day was unreal. 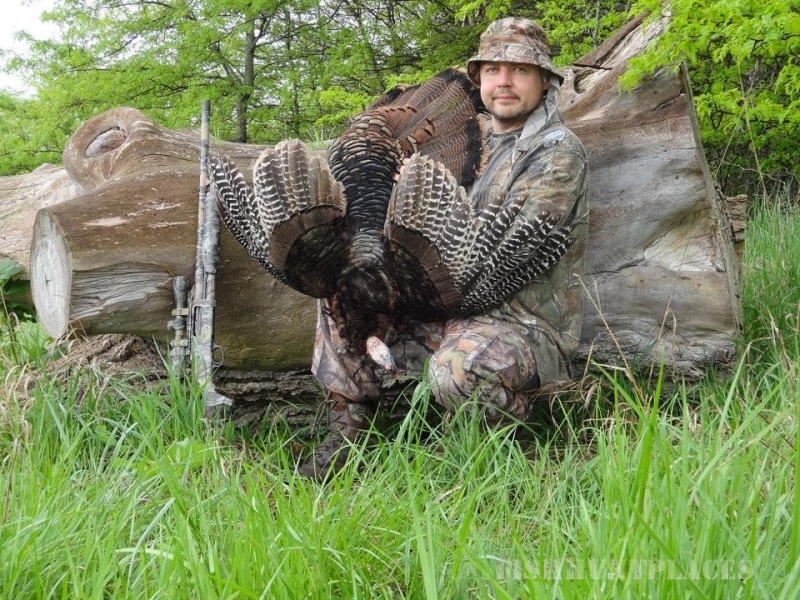 I was lucky enough to put a ” spot and stalk ” on a group of 6 gobblers and despite the fact that I almost got busted, I was able to sneak up within 60 yards and put a nice bird on the ground. The hunting at Split Brow Outfitters was unreal and exceeded my expectations. The quality and quantity of birds were high, not to mention the amount of deer that I saw feeding out in the crop fields in the evening. 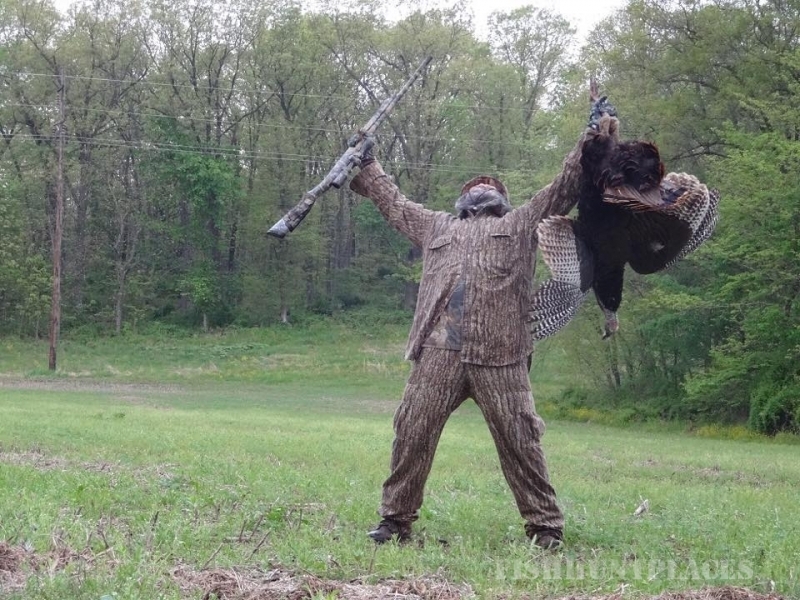 The hunting pressure is very low and that makes hunting that much more fantastic. I was very pleased with my stay and will certainly come back next year for another hunting adventure withSplit Brow Outfitters.